Confusion descended on Tanzania’s stalled plan to build a multi-billion-dollar standard gauge railway across its breadth from the port of Dar es Salaam to neighbours inland after it was revealed that its government is courting a Turkish firm and Turkish cash to build part of the line. This unexpected development throws a $7.6bn loan agreed with China’s Export Import Bank last year into doubt because, when China lends money for infrastructure, Chinese firms get the work building it. The pattern was due to continue in Tanzania, as the country was anticipating the financing coming from China they then awarded contracts worth in the region of $9bn to a group of Chinese firms led by China Railway Materials during the middle of 2015. However, the contracts have now been ceased due to disagreements last year, with a mere 5km of the line being constructed. The revelations came today amid a flurry of diplomatic activity this week between Tanzania and Turkey, following high-level visits by Chinese officials to Tanzania earlier this month. On the heels of a two-day state visit to Tanzania by Turkish President Recep Erdogan, which ended 23 January, Tanzanian newspaper The Daily News reports President Magufuli as saying that an unnamed Turkish company was among a number shortlisted for work on the 2,000-plus-km railway. Magafuli also asked Erdogan for a Turkish loan to finance a 400km stretch of the track, Daily News reports, and received in return a pledge from Erdogan that Turkey’s finance minister would “work on it”. This could strain relations with China. 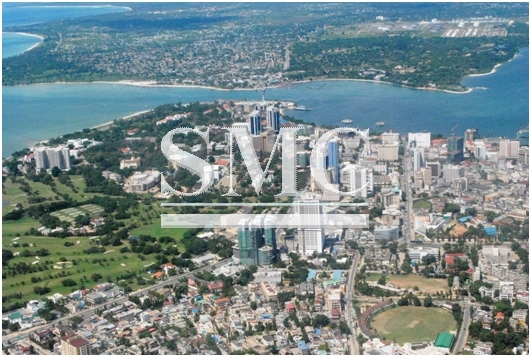 According to a report in Kenya’s East African website, Wangi Yi, China’s foreign minister, visited Tanzania two weeks ago to discuss the tender, but officials were said to have offered no guarantees that a Chinese contractor would win the competition. Tanzania’s standard gauge line will cover around 2,190km from Dar es Salaam to Isaka in the north of the country, then to Burundi, Rwanda and the Democratic Republic of Congo; about 1,200km of the network is inside Tanzania.